In this tutorial we will show you how to install Steam on Debian 9 Stretch. For those of you who didn’t know, Steam is a digital distribution platform for video games. As Amazon Kindle is digital distribution platform for e-Books, iTunes for music, similarly Steam is for games. It provides you the option to buy and install games, play multiplayer and stay in touch with other games via social networking on its platform. The games are protected with DRM. Recently, over 4500 games are available through steam and 125 million active users are registered with Steam platform. This article assumes you have at least basic knowledge of Linux, know how to use the shell, and most importantly, you host your site on your own VPS. The installation is quite simple and assumes you are running in the root account, if not you may need to add ‘sudo’ to the commands to get root privileges. I will show you through the step by step installation Steam on a Debian 9 (Stretch) server. Step 2. Installing Steam on Debian 9. As you are running for the first time, you’ll be asked to either create an account or log in to an existing account. It will also ask for agreeing to terms and conditions. Congratulation’s! 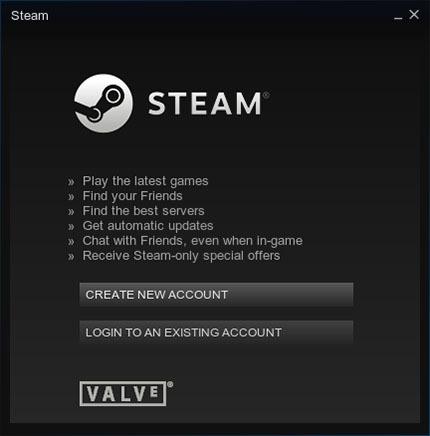 You have successfully installed Steam. Thanks for using this tutorial for installing the latest version of the Steam on Debian 9 server. For additional help or useful information, we recommend you to check the official Steam website. Related Posts of "How To Install Steam on Debian 9 Stretch"